JOIN ECLUB @ Culver's! Sign-up and you’ll receive a FREE Value Basket with the purchase of a Value Basket just for joining. JOIN TEXT CLUB Sign up for Text Club and receive a FREE scoop of Fresh Frozen Custard with any purchase. 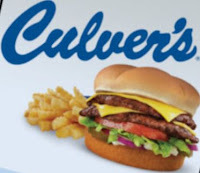 Just click below to go to the Culver's website to sign up.